This post contains affiliate links. See my Disclaimer for more information. 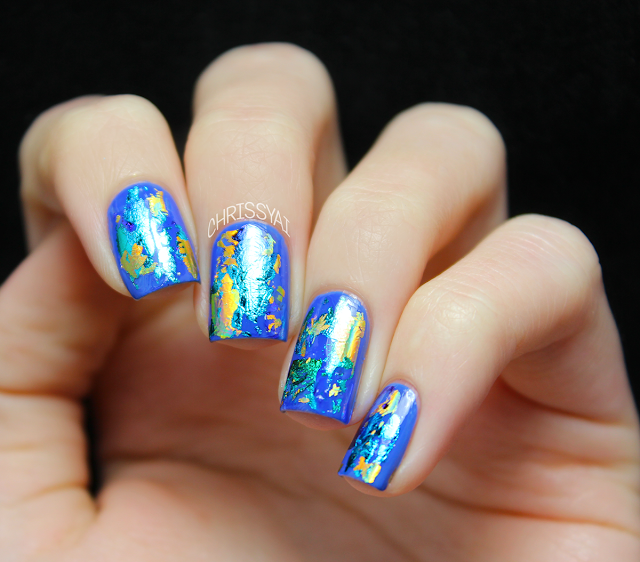 For the first foil manicure I did, I used LVX Cerulean as my base and the LVX 3-in-1 Treatment to create the tacky surface needed to apply these foils. The foils I used are #6 and #2. LOVING this combination! I was pleasantly surprised to find out how easily this foil applied, I had thought that it would be more difficult than it actually is. They're extremely vibrant metallic foils that you basically stick on and pull away to get the color. -Apply your color of choice and let it dry completely. -Apply a clear coat of nail polish and let it dry approximately 50-70%. You want it to be tacky but NOT wet. -Press on the shiny side of the foil (the non-colorful side) and pull the foil away from the nail. 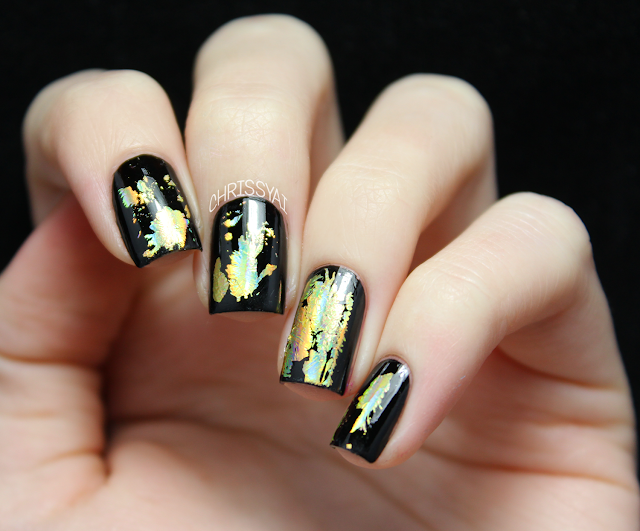 What do you think of these nail foils? Planning on trying them? Remember that Born Pretty Store offers free shipping worldwide and you can get 10% off with my code "GAL91"! Interesting. So you don't need a nail/craft glue with the foil from BPS? You have gorgeous naked nails by the way! I'm envious. Nope, no glue necessary! Just a tacky surface. Aww, thank you! I owe it to my LVX 3-in-1 treatment. Oh wow these all look so gorgeous! I love the look of foils but I don't think I have the patience lol. Great, I love both versions! I reeeeeally need some foils now <3. 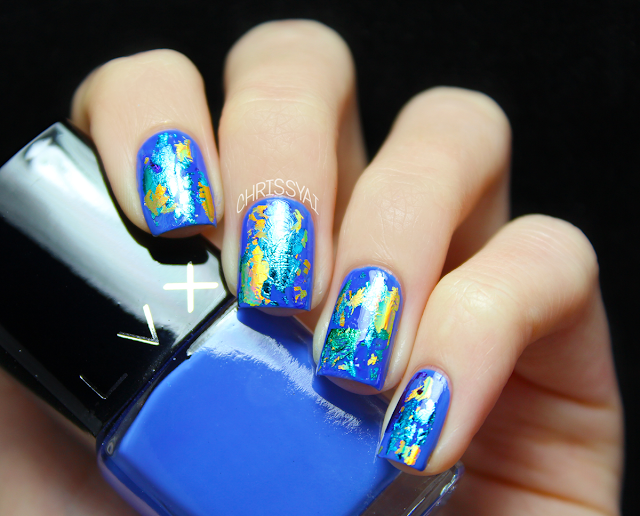 The azure blue is beautiful with foils! I've only tried the Ciate ones, but I would be all over the Born Pretty ones like a fat kid on a dirty Smartie!